I thought I’d get into the spirit of List Week here on Rooster Illusion by delving into one of my favorite sub-genres of anything ever–musical SciFi. Now, when I say SciFi I do mean a pretty wide range of things, but, here we go. Do you have 45 minutes? How about a sense of humor? A few tissues around? 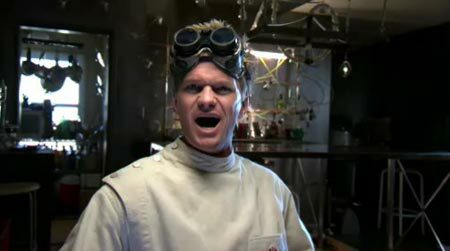 Great–you’re ready for Dr. Horrible. Written and directed by a slew of Whedons and Maurissa Tancharoen, starring the always delightful Nathan Fillion, Neil Patrick Harris, Felicia Day and some other familiar faces, Dr. Horrible’s Sing-Along-Blog is a short musical in three ‘acts’. You’ll laugh, you’ll sing along, you’ll quote things to your friends, you’ll bully your roommate into being Dr. Horrible so you can be Captain Hammer for Halloween (cough cough), you’ll cry. You’ll cry a lot. Bonus: Check out the Musical Commentary – equally funny! Favorite Song: So They Say – I love this because it’s the epitome of musical satire really solidly produced and executed. It’s definitely not the most emotionally driven song. The inspiration for the poorly performing Repo Men starring Jude Law a few years ago, this is the campy musical parent. Set in a post-apocalyptic future where medical practices have become expensive and luxurious, citizens are able to take out loans to get various procedures performed, including organ transplants. Naturally, if they default on these loans, a Repo Man comes to reclaim the item in question, whether it be a spine or your fancy new eyeballs. The music is bizarre, but fairly solid, a feat made possible with the wonderful Anthony Stewart Head, the surprisingly delightful Alexa Vega (Spy Kids) and featuring the mega-voice talents of Sarah Brightman (of the original Phantom of the Opera Broadway production) as well as the soul-shatteringly low voice of writer Terrence Zdunich and a host of other people you might recognize, like, y’know, Paris Hilton. Favorite Song: Legal Assassin – It was honestly kind of hard to pick a favorite song, because there are a few that are pretty great. Ultimately I picked this one because it’s a really great example of Anthony Stewart Head being fantastic, and the emotion levels are straight-up raw. 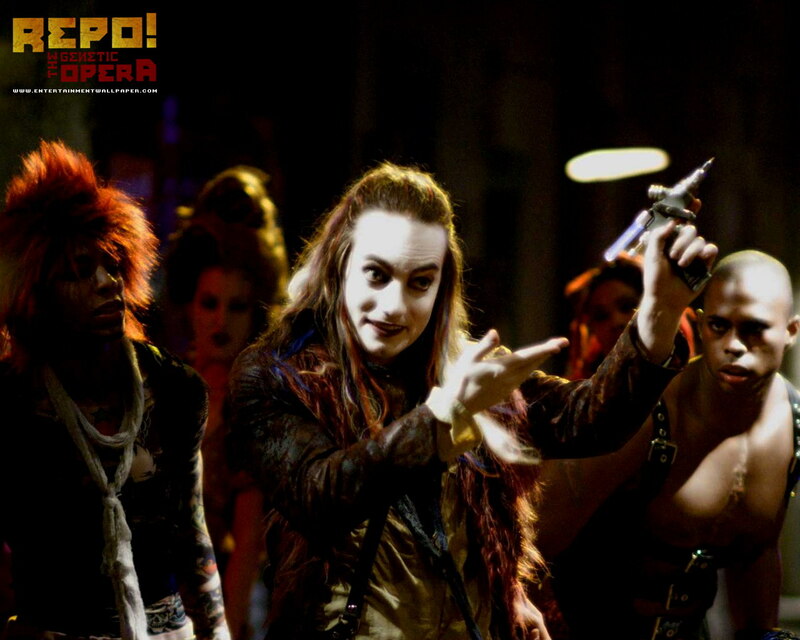 I might not have agreed that there was a movie quirkier than Repo!, but The American Astronaut probably is. 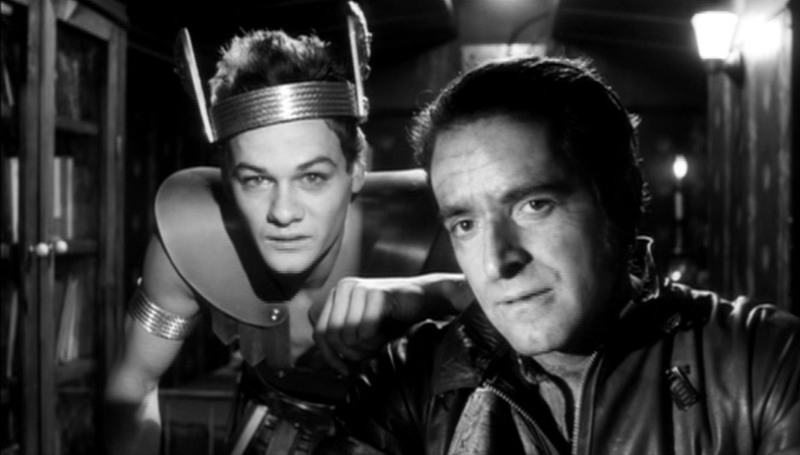 A black and white Space Western set in pseudo-contemporary days (as in, what if we could always go to space), it follows a lonely space cowboy through a serious of missions stacked like nesting dolls. The universe is odd, where women are scarce and gendering is rare but sexuality is high. There is a song about The Boy Who Actually Saw A Woman’s Breast. The villain is insane, but questionably pathetic. It’s a hard movie to wrap one’s head around. All of the music is composed by indie band The Billy Nayer Project. Honestly though, aside from being fairly odd, this movie is quirky and endearing, and the music is simple and subtle. Favorite Song: Love Smiles – This is probably the most obvious ‘song’ in the movie, but I don’t care. It’s a great song, in or out of the movie. In the movie it’s delightfully unexpected, tonally, and it stuck out in my mind the most. 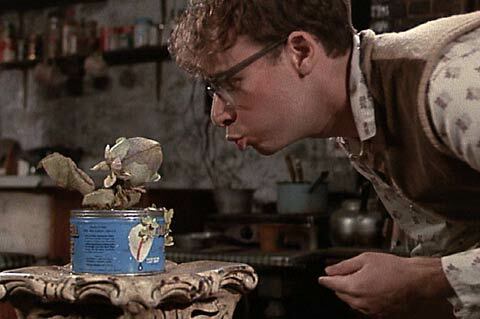 In this case I’ll be referring to the movie with Rick Moranis, because that’s how I was first exposed to this musical, originally a stage production. I’m 90% sure the stage production is much sadder in the end, but, eh. This is such a fun movie regardless. Rick Moranis, as per usual, is dorky and charming, where Audrey is a satire of the damsel in distress and Steve Martin is hilarious. The basic premise is a struggling flower shop owner comes into possession of a venus-fly-trap-esque plant, and can’t figure out how to nurture it until it accidentally ingests some of his blood. From there, well, it escalates. Favorite Song: Suddenly Seymour – I’ll admit, it’s because I like singing it at the top of my lungs. Probably the best known film on this list, and a cult classic because it totally deserves to be. The plot (although I’ve always felt that the plot didn’t really matter so much) involves a couple, Brad and Janet, becoming stuck, courtesy of a large rainstorm at the mansion of eclectic Dr. Frank-N-Furter (Tim Curry). The doctor, mind you, has just created the perfect man-specimen, Rocky. From there it grows increasingly bizarre. 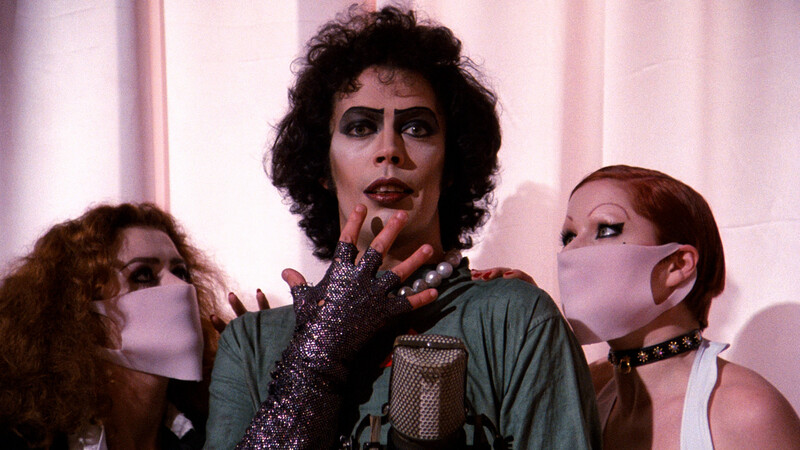 If you don’t know, there are many, many, many stagings/readings/viewings of Rocky Horror all over the world during the entire year, but especially at Halloween. It’s common to dress up, bring props, yell things, etc. It’s great fun–I suggest going at least once. Favorite Song: Time Warp – How could it not be the ‘Time Warp’? The first moment where everything is totally bizarre and gags start to fall together. The second Whedon entry on this list, the musical episode of Buffy the Vampire Slayer is too good to leave out. 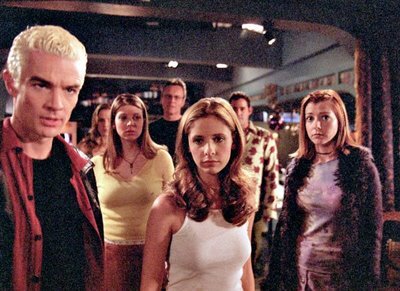 It’s worth watching even if you’ve never seen Buffy, and the context of the episode isn’t terribly important. Anthony Stewart Head has a great singing voice (seriously, check out his actual albums, including a stint as Dr. Frank-N-Furter), and the entire episode doesn’t take itself too seriously. What I mean by this is that the entire episode is a huge joke that matches the regular serious/camp that simply is Buffy. I mean, plus you get to see James Marsters sing, so, there’s that. Favorite Song: Let Me Rest in Peace – James Marsters in his best angsty just-barely-not-the-90’s best. See, it’s funny, because Spike is already dead.